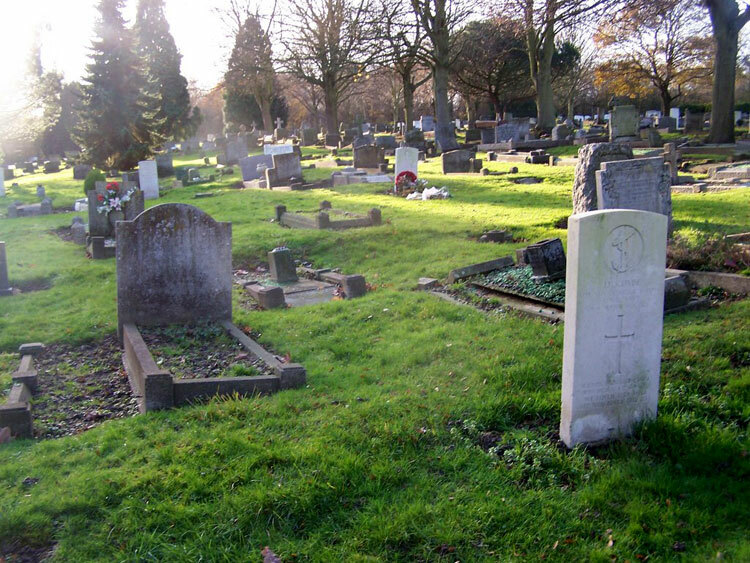 Enfield (Lavender Hill) cemetery contains war graves of both world wars. There are 33 burials of the 1914-18 war comprising 3 from the Royal Air Force, 2 from the Royal Navy, one from the Royal Naval Air Service, one from the Royal Marines and 26 soldiers from the united Kingdom. The 1939-45 burials number 57, which except for one Canadian are all from forces of the United Kingdom. A small service plot of 12 graves exists in Section Z, to the west of the main entrance. The rest of the graves are scattered throughout the cemetery. One Yorkshire Regiment soldier is buried in this cemetery, and as yet does not have a Commonwealth War Graves Commission headstone, although the Commonwealth War Graves Commission (CWGC) have recognised his eligibility for such a headstone. 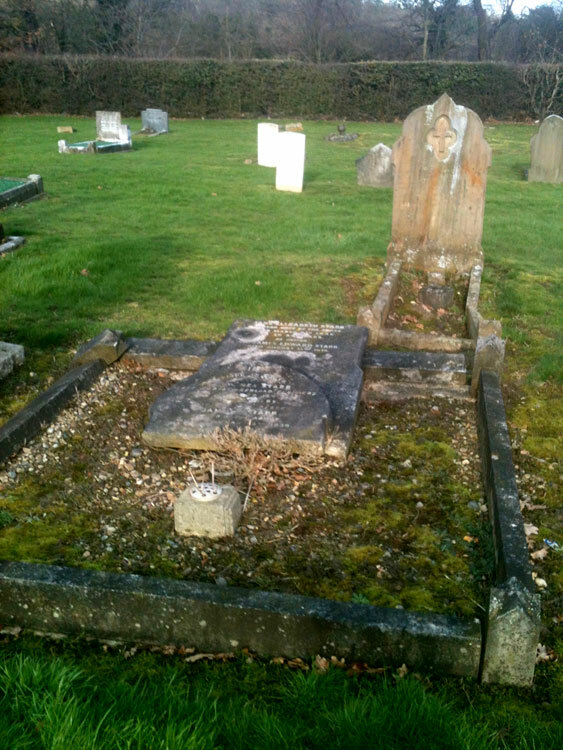 The CWGC have provided a photo which shows the family headstone for this soldier, which will be supplemented / replaced at some point with a CWGC headstone. 4th Training Reserve Bn. (CWGC) / 11th Battalion (SDGW) the Yorkshire Regiment. Died at home 15 October 1917. Aged 18. Born Enfield, Enlisted Tottenham, Resided Fortyhill. The commemoration on the above photo of the headstone for Private Sydney Starr is not very legible. However, what CAN be made out from the photo is that Sydney Starr was the son of James Edward Starr and Jane Starr (confirmed from 1901 Census data). The headstone inscription refers to Sydney Starr being in the Northumberland Fusiliers, but there doesn't appear to be a connection between the 4th Training Reserve Battalion and the above regiment. When a CWGC headstone has been provided the above photo will be replaced by one of the CWGC headstone.